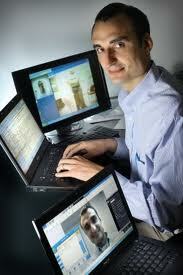 A few weeks ago, I was introduced to Ray Dorsey (photo) via an email. Ray is an MD and associate Professor of Neurology and the director of Movement Disorders Division and Neurology Telemedicine at Johns Hopkins Medicine in Baltimore and he is involved with a very interesting project. He is offering free one-time consultations for people with Parkinson’s via webbased teleconferencing with a Johns Hopkins specialist anywhere in the world. Literally anywhere. The only thing you need is a computer and high-speed internet. If you have your own webcam, it’s good, but if you don’t, one can be provided. For more information, see: more info.